You can create parameter values and apply them to a component. 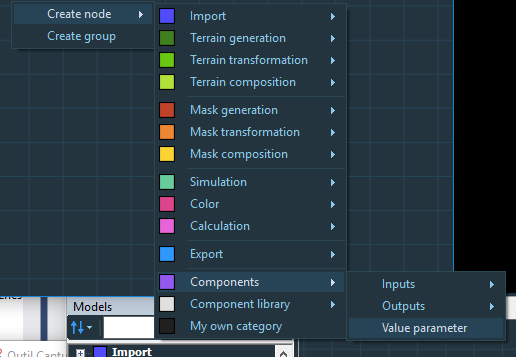 Open the component graph and select Create node > Components > Value parameter in the contextual menu. A new node is created. 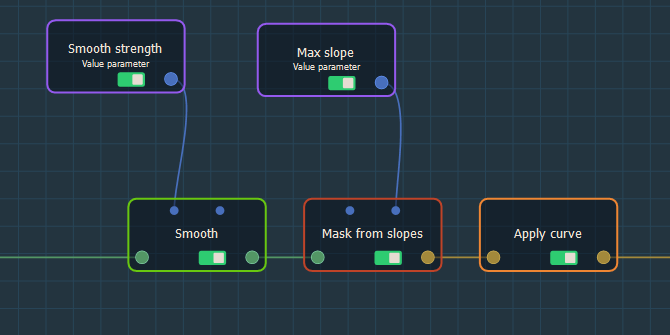 Double click on the Value parameter node to open its parameters. 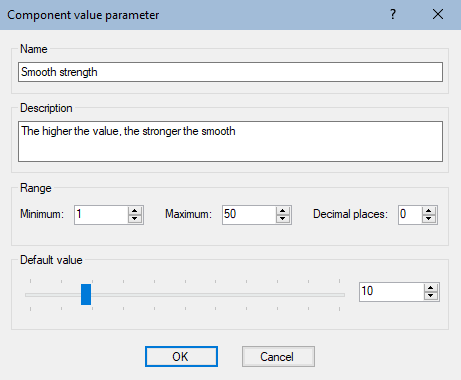 For example, create a parameter that will be the strength of the smooth. Name the node, add a description, set the minimum and maximum bounds, the number of digits to display after the decimal point, and a default value. Click OK to validate. 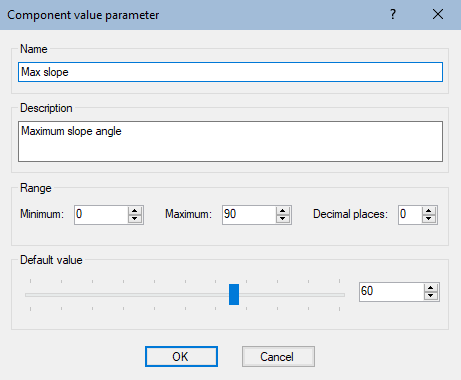 Create another parameter, which will be the maximum angle of the slope during extraction of the mask. Click OK to validate. Link these two nodes to the Smooth and Mask nodes from slopes via the optional connectors. 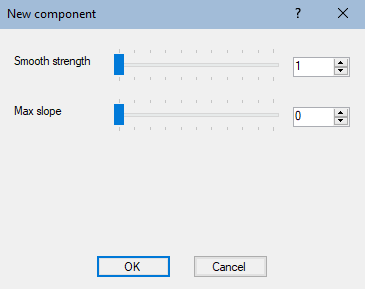 Close the component node graph. 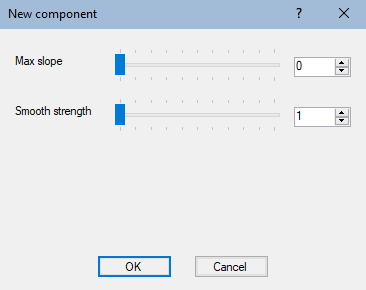 Now when you double-click on the component node, its parameters dialog contains these properties. When you edit these properties, the results are shown in real time.